Monomoy Girl (#2) was first past the post, but Midnight Bisou was put up to first via disqualification. Photo by Allison Janezic. 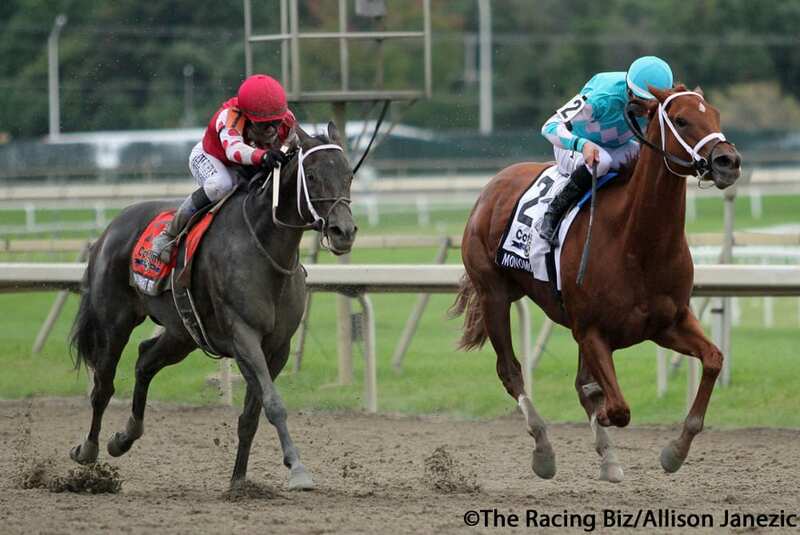 For a few minutes Saturday, Monomoy Girl was still unbeaten this year, still the best 3-year-old filly on the planet.